Many new traders think they need more indicators to be a consistently profitable trader. The price is above the 20 period MA but RSI is showing the market is overbought. At the same time, the ADX indicator is at 25 which show a non-trending market. So, which do you follow? Bollinger Bands can help you overcome this issue — and much more. 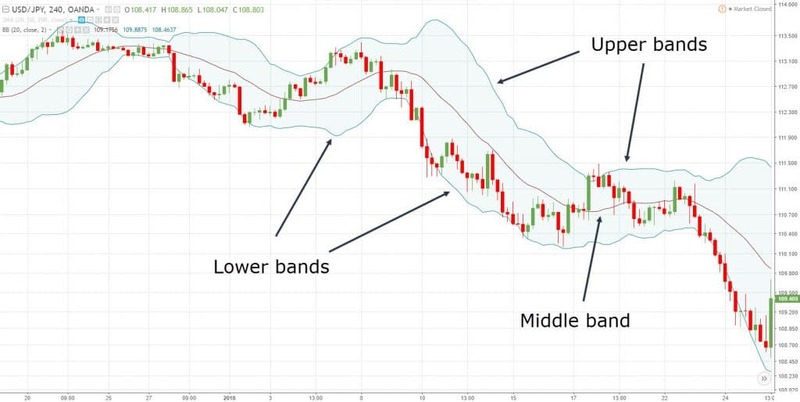 That’s why I’ve created this Bollinger Bands trading strategy guide to show you how useful this indicator is and what it can do for your trading. Bollinger Bands explained: What is it and how does it work? Bollinger Bands is a trading indicator (which consist of 3 lines) created by John Bollinger. Note: I’ve used the default settings for Bollinger Bands which is 20-period moving average and 2 standard deviations for the upper and lower bands. So, what is standard deviation? Well, it basically measures how far you’re away from the average. If you want to learn more, go study this lesson on standard deviation. If the price is near the upper Bollinger Band, it’s considered “expensive” because it is 2 standard deviation above the average (the 20-period moving average). And if the is price near the lower Bollinger Band, it’s considered “cheap” because it’s 2 standard deviation below the average. Just because the price seems “cheap” or “expensive” doesn’t mean you enter a trade immediately. Because in trending markets, the market can remain “cheap” or “expensive” for a long period of time. As you can see, it’s a painful thing to do if you blindly shorted when the price is at the upper bands. You’ve probably heard this a gazillion times. If you want to make money in the markets, just buy low and sell high. Well, you can do so with Bollinger Bands (duh). The outer Bollinger Bands are 2 standard deviations away from the mean. This means if the price is in the lower band, it’s considered “cheap”. And if it’s in the upper band, it’s considered “expensive”. If you want to have a higher probability of success, then you’ll need a few confluence factors coming together before you trade the bands. 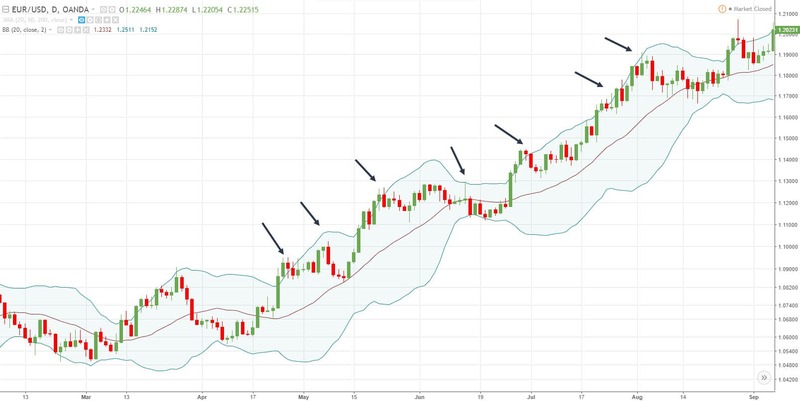 The price on EUR/USD is at the lower Bollinger Band that coincides with Support, and it formed Bullish Engulfing pattern. Pro Tip: You can adjust your Bollinger Bands settings to 3 standard deviation (or higher) to identify even more overbought/oversold levels to trade off. The markets move from a period of high volatility to low volatility (and vice versa). If you’re a new trader, it can be difficult to identify the volatility of the markets. So, this is where Bollinger Bands can help because it contracts when volatility is low and expands when volatility is high. 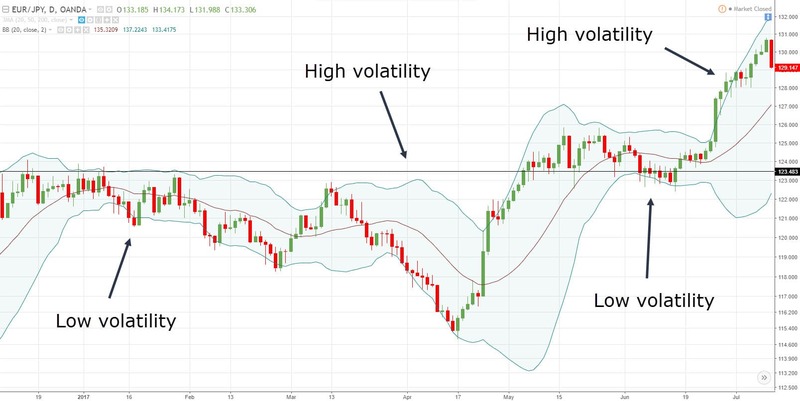 How do you use Bollinger Bands to anticipate a possible breakout? You look for the Bollinger Bands to contract (or squeeze) because it tells you the market is in a low volatility environment. Because volatility tends to expand after contraction! An example: Before the breakdown, Crude Oil is in a low volatility environment (as shown by the contraction of the bands). Pro Tip: The longer the volatility contraction, the stronger the subsequent breakout will be. 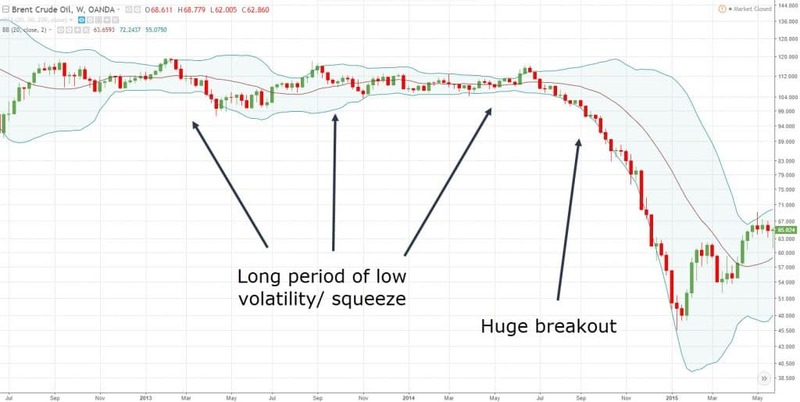 Although Bollinger Bands can alert you to potential breakout trades, it doesn’t tell you the direction of the breakout. However, you don’t need to be an Einstein to figure out where the market is likely to go. Because all you need to do is look at the trend. Where do you think the market is likely to breakout, higher or lower? Probably lower because the trend is down. 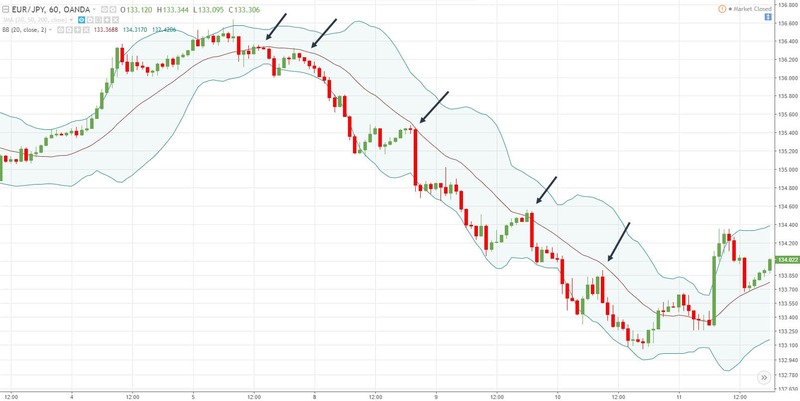 You know the middle line of the Bollinger Bands is simply a 20-period moving average (otherwise known as the mean of the Bollinger Bands). And in strong trending markets, the 20-period moving average can act as an “area of value”. This means when the market pullback towards the 20 MA, it’s an opportunity for you to get long (or short). Pro Tip: If you want to ride the trend, you can trail your stop-loss using the 20 MA, or the outer Bollinger Bands. The Bollinger Bands indicator is great for identifying areas of value on your chart. But the problem is… it doesn’t tell you the strength or weakness behind the move. For example: How do you tell if the market will continue to trade outside of the outer bands or mean revert? That’s where the Relative Strength Index (RSI) indicator comes into play. And what you’re looking for is a divergence on the RSI indicator. If the price is at upper Bollinger Bands, then you can look for a bearish RSI divergence to indicate weakness in the underlying move. If the price is at lower Bollinger Bands, then you can look for bullish RSI divergence to indicate strength in the underlying move. Pro Tip: You can combine this technique with Support and Resistance to find high probability reversal trades. You can think of Bollinger Bands like a rubber band. Whenever the price gets too far away from it, it tends to mean revert back towards the middle band. That’s why you must also take into consideration Bollinger Bands, Support Resistance, and Candlestick patterns. By default, the outer bands are 2 standard deviations away from the middle band (20MA). If you want to identify even more overstretch market conditions, you can increase the standard deviation to 3 or more. 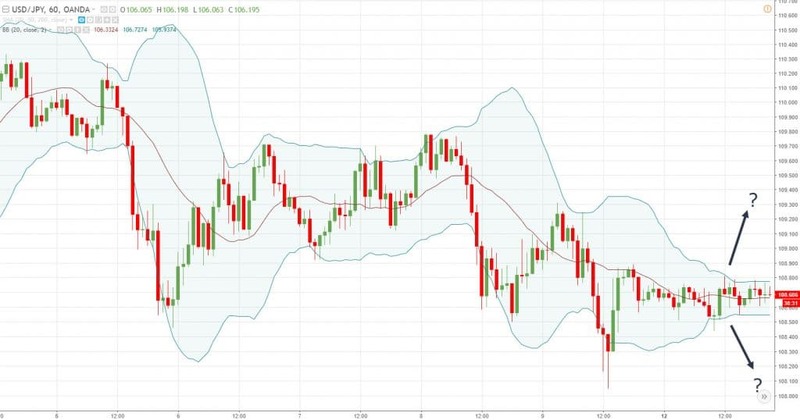 How do you use the Bollinger Bands trading indicator? Rayner, i think u should do 1 on utube soon on bolingger band .. coz it gonna been helpful to the people that follow u on utube like me and the rest .. thank you in advance …. see u there !!! Hihihi. Thanks for the tutorial on Bollinger Bands. I’ve never used this indicator before and after following Mr Bollinger on twitter for a while now, I’m more interested to consider his indicator in my charts. Sure thing. Let me know how it works out for you buddy. May I know where I can read more about B.B. and RSi strategy for reversal ? Please Read The book Bollinger on Bollinger bands. levels of the RSI.As always ,the traders wille ever grateful to you. I used the default 14-period in this example. Thanks Ray, this has been an eye opener. I find it easy using my phone than my laptop, problem is, on my phone there’s only the middle moving average and don’t know how to set up the outside ones. Please help. You should contact your platform provider. Thank you for sharing this article. This my first time to learn something about bollinger bands and RSI ? I have been learning from your post and videos. Your post and videos have turned a novice trader into a more skillful one. Thank you. I am grateful. Rayner, thanks for all your tips. In this last example with RSI, it is not clear to me that when the price is at the upper band that the RSI is having lower lows suggesting bearish divergence. You can look up for bullish and bearish divergence on google and find more examples. hi rayner , when i see the price at the top or bottom i look at the shape of the band . cheers ! you are doing a great job . When the outer bands are curved, it usually signals a strong trend. When it’s flat, it’s usually in a range. Thanks Rayner. Good stuff, easy to understand and to apply. Straightforward. Have been using BB for some time but not in conjunction with the RSI, thanks for the tip. Always look forward to your weekly sessions. Great session Rayner, I think Combining BB with RSI is the best part here. Sir can you elaborate RSI divergence cant understand well…. What window are using? The daily or hourly etch for this strategy? The concept can work on different timeframes. But strictly speaking without using stop loss and risk reward…TRADERS WILL ALWAYS LOOSE AND BLOW THEIR ACCOUNTS AND CONFIDENCE EVENTUALLY. 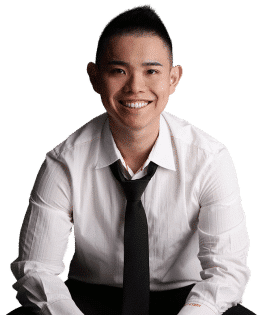 Hey buddy, long time your subscriber, like many others, had read a lot of your posts, books, webinars, videos, indicators, lectures, mentors, etc. etc. In practice, nothing for sure works every time. Now personally I am tired of all this. I suggest you start as signal provider and charge for subscription. At the end of day I make money so do you. Life is short. If this isn’t for you, I suggest you unsubscribe as I don’t want to waste your time further. Thanks Rayner. I was much against using indicators, but this is really useful and explained lucidly. I have yet to come across a lesson taught by you that wasn’t informative. Very insightful. One of my favorite forex traders to follow. Thanks for your hard work and dedication. Thank you for your kind words, Kevin! Thank you for sharing, Johann. Funny, I was just looking at trying some BB trading this week. Lookup the Fiji bb alert indicator. May help. wow wow wow, i have not seen, watch or read any thing as clear and precise as your materials. you are a blessing to our generation. am a better trader now in just 1week, by studing your materials. Hey Rayner! You always surprised me with your articles, thanks for everything. Aside combining RSI on BB, do you also combine Average Directional Index (ADX)? In addition, what time-frame does BB effective? You can trade the concept on any timeframe as long as there’s sufficient liquidity. As a beginner I’ve really learned so much from your video’s and Posts. My question is for example can we print this article it’s easier for me to follow ? Sure thing but please do not sell them. I don’t have a pdf guide for this. At first, I thought I would not be able to understand this BB, their I was not interested. But the way you have explained here is really as clear mud! I’m glad to hear that, Adrian! As a beginner, this was very clear and helpful. I stumbled on your post as i was trying to understand more about BB. I will look for more of you materials and hope they are as insightful. Thanks for sharing. Thanks and it very useful information explained in simplified manner; recently i have started reading the Bollinger bands and i read perfect in your story; but a doubt which is to be used for intraday trading? 20 or 10 ma? Is there any difference in ema/sma? The difference is that EMA is more responsive compared to SMA. Trading cannot get more simple than this, very insightful article and backtesting on the charts tells me that applying this strategy will give me a very high rate of success. A stop loss may not even be necessary most of the time, but where do u suggest i place the stop loss in case momentum shifts against me? There are many ways you can set your stop loss, for example, you can can set your stop loss X ATR away from your entry. You can consider trading other products like Forex. Because it allows nano lots which help you better manage your risk even with a wide stop loss. I just started my journey in trading few months ago. This is the first time I learned about Bollinger Bands and how useful it can be paired with RSI. I am still practicing all the concepts I know about charting. I somehow check all possible setup that can work with me. Thanks for this article. This is indeed a great tutorial, very helpful! God bless the writer beyond bounce. Zillion thanks Boss. I enter long on the first candle above the middle Bollinger (RSI has to be above 50 @ this stage and rising). If the bands are sideways i place my take profit a few points below the upper band. My initial stop loss is just below the last candle that formed below the middle bollinger. Trail stop at last consolidation thereafter. My entry and exit is based on the middle band always. This way i found trades ride profits better. I use the 1 hour chart for trading and 4 hrs for trend confirmation. I only trade in the direction of the 4 hrs. Trades are few this way but i find that this is safe and so i trade thus. You are the reason my trading turned around so thank you for being so generous. Thank you for sharing, awesome to hear that! What is 2 standard deviation? 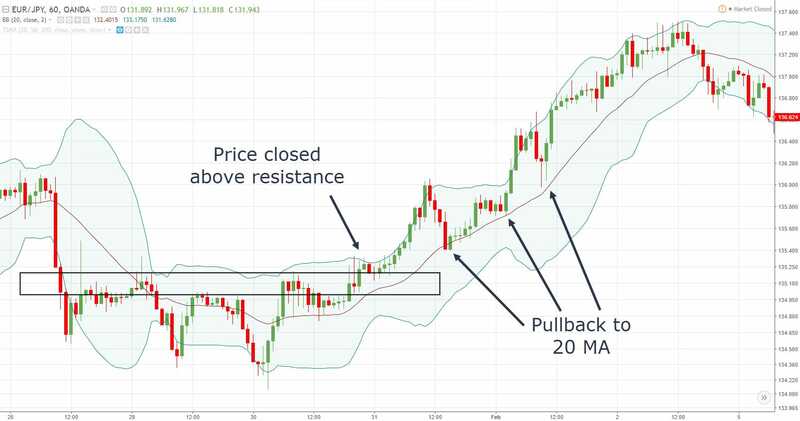 Another Excellent stuff from you Rayner.Can you please tell how to trade with double bollinger bands?Or make a video?Thanks. I’ll look into it cheers. Keep the good work that you are doing for us up your rewards are wait. You are one in a million Rayner I really like and love you. I appreciate the kind words, Desola! Thank you for clearly explaination.